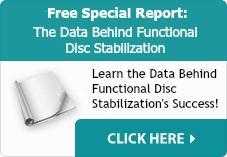 For additional information on Functional Disc Rehydration, please visit the Request a Consultation at Illinois Back Institute or call 888-959-6822. Our non-invasive treatment method has helped many people overcome sciatica and other back pain issues. People often do these stretches incorrectly. To watch the video of Dr. Amy and receive further explanation of how to do the Neurodynamic stretch click here to sign up for our Top 10 Sciatica Tips and Videos for Sciatica Stretches.